Pay attention skywatchers! Five of the planets in our solar system will align diagonally in the predawn night sky starting Thursday morning. Mercury, Venus, Saturn, Mars and Jupiter will all be visible across the sky for the first time in more than a decade. You will also be able to see the stars Spica and Antares. The planets can best be seen about an hour before sunrise from January 20 through the end of February. The last time a planetary party like this happened was in 2005. It's also slated to happen again later this year in August. 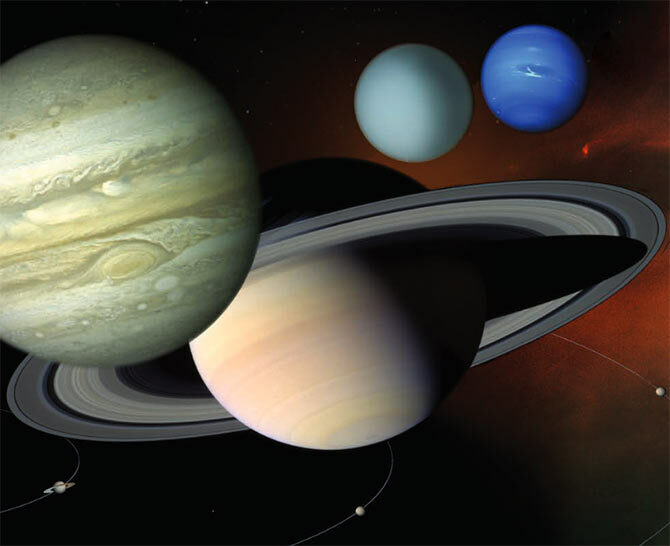 The reason for the unusual astronomical sight is that the five planets happen to be on the same side of the sun at the same time, he further explained. That means the planets can all be seen in the morning, rather than some of them being visible in the evening. Because all the planets sit on a single plane, and were looking at them from inside that plane, they will all appear to be sitting in a line. Unfortunately, these are the only planets that can ever get together like this. Neptune and Pluto are too far away to ever be seen without a telescope, and Uranus can only sometimes be seen in the middle of a dark sky without any help. While the full planetary alignment will only show up just before dawn, the event will get started long before that. Jupiter will rise first in the evening; Mars makes its debut at midnight; and then Saturn, Venus, and Mercury appear respectively, according to EarthSky.org. Even if the weather’s too cloudy, you’ll have a month’s worth of mornings to gaze upon this beauteous sight. Scientists say the hardest task will be discerning the planets from stars twinkling in the sky. But observers offer a simple trick: close one eye, stretch out your arm and slowly pass your thumb over a bright dot in the sky. If the dot slowly dims out when your thumb passes over it, it’s a planet. If it quickly blinks out, it’s a distant star.